I Think I Will Run Today: Happy Halloween! I may be at work all day, but that doesn't mean that I can't also eat candy all day. 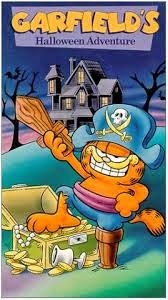 I unabashedly adore Garfield's Halloween Adventure. It has been a staple of my Halloween movie watching since I was a small child. One of my favorite decorated houses this year. Everyone needs a little chocolate now and then. Hannah is going to be James Bond this year. Really, the bow tie is as much of a costume as she will wear. 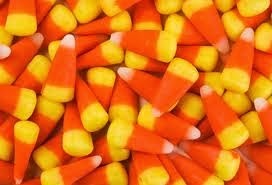 Candy corn = tiny niblets of sugar and joy. So, to sum everything up, I really like candy. I guess it is a good thing I went to the gym this morning and have a race tomorrow!